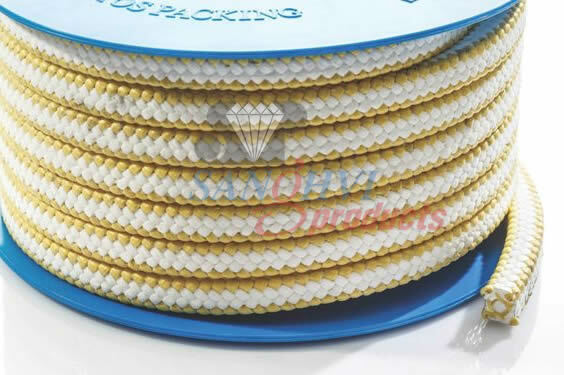 Construction: High strength organic aramid (aromatic polyamide) synthetic yarn impregnated with PTFE and lubricated with a special high temperature lubricant. Application: High strength and its abrasion resistance of the yarn makes it ideal for use with abrasive sand, slurry, gritty media, sludge and sewerage handling equipments. It is used in pulp and paper, chemical, petrochemicals, pharmaceuticals, sugar, food industries, power plants, etc. 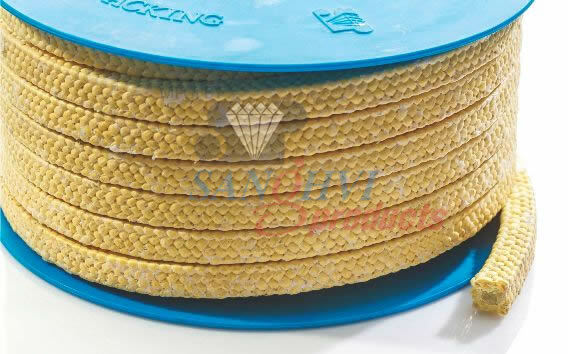 Used as anti extrusion rings with other packing. Available Size: From 3mm to 45mm . 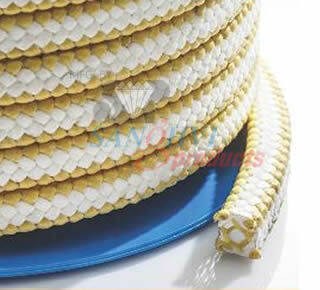 Installation: View Detail, Click Here..
Construction: Combination packing made of a high-grade PTFE yarn with aramid corners. Application: A non toxic and dimensionally stable packing suitable for corrosive chemicals and abrasive media. 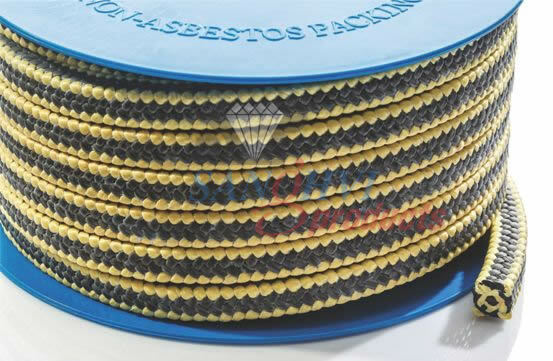 This packing is also used as an anti extrusion rings as it can withstand high pressure in rotary as well as reciprocating applications. Widely used in food and pharmaceutical industries, dairies, refineries, fertilizer plants, etc. 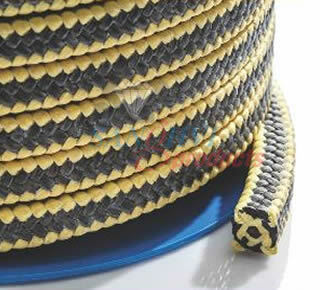 Construction: A high quality combination packing of Graphite bonded PTFE yarn with aramid corners. Application: This packing has good sliding properties and thermal conductivity, making it an excellent packing option for high pressure pumps with sliding velocity. 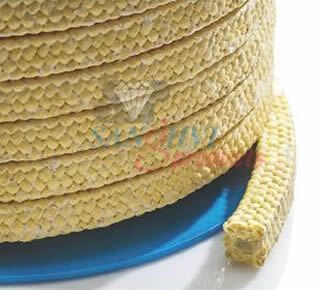 Aramid yarn corners prevent gap extrusion in high pressure & high temperature applications. It is widely used in applications involving abrasive media.